Kalisto and Epico kick the match off. Kalisto front flips out of a hip toss. Delay verticle suplex by Epico. Kalisto hurts his knee after backflipping out of a suplex. Lucha House party hit combo sky high splashes on Epico. Epico kicks out. Primo tags in and hits a senton followed by a low dropkick. Kalisto tries a springboard and hurts his knee again. The Revival hit the Shatter Machine on Primo. Primo and Epico have been eliminated. Kalisto is replaced Gran Metalik. Anderson hits a huge spine buster. The B-Team takes turns beating down Anderson. Anderson rolls up Dallas for the pinfall. The B-Team has been eliminated. Chad Gable and Big E. face off. Killian Dain tags himself in. Dain obliterates Gable with a crossbody block. Young tags in and gets hit with Gable and Roode’s finisher. Young is done. Big E. spanks Konnor. Konnor tosses Big E. across the ring. Woods tags in and gets run over. The Ascension takes turns beating down Woods. Woods surprised Viktor with a roaring elbow. Woods picks Big E. up in an electric chair. Big E. splashes Viktor off of Woods’ shoulders for the pin. The Ascension has been eliminated. Dorado hurricanranas Anderson into the ropes. Duel moonsaults to the outside by Lucha House Party. Metalik hits a springboard senton to get the pin on Anderson. The Good Brothers have been eliminated. Dorado hits a springboard moonsaults onto Jimmy Uso. The Usos hit a pop up Samoan drop. Dorado is done. Lucha House Party has been eliminated. The Revival work over Woods. Woods surprises Dawson with a missile dropkick. Woods tags in Big E. Big E. hits a series of suplexes on Wilder. Gable and Roode hits the Chaos Theory with a neck breaker on Big E. Big E. kicks out. Roode calls for the Glorious DDT. Big E. avoids it. Woods and Big E. hit a backstabber/uranage combo on Roode. Roode kicks out. Dawson hits suicide dive. Wilder hits a tornado DDT off the apron. Big E. spears Wilder off the apron. Jey superkicks Roode then dives over the top onto everyone else. Jimmy goes up top. Gable follows. Gable German suplexes Jimmy off the top to the outside onto everyone else. Woods hits the Honor Roll on Roode. Gable moonsaults off the top but Big E. catches him in the air. The New Day hit UpUpDownDown for the pin. Chad Gable and Bobby Roode have been eliminated. Woods tries the super elbow drop but ends up flying right into the Shatter Machine by the Revival. Woods is done. The New Day has been eliminated. The Revival hit the Steiner Special. Jimmy kicks out. Jimmy goes up top. Dawson cuts Jimmy off. Dawson superplexes Jimmy as Wilder hits a frog splash. Jey breaks up the pin. The Revival try the Shatter Machine but Jey saves Jimmy. The Usos superkick everyone. Jey hits the Superfly Splash for the win! WZ DAILY: SURVIVOR SERIES PREVIEW, LATEST ON BECKY LYNCH, HISTORIC WRESTLEMANIA FIRST COULD BE IN THE WORKS! & YOUR QUESTIONS ANSWERED! WZ TV Reporter Lovell Porter makes his debut on the Daily! BREAKING NEWS: HISTORIC WRESTLEMANIA FIRST COULD BE IN THE WORKS!WZ DAILY: SURVIVOR SERIES PREVIEW, LATEST ON BECKY LYNCH, & YOUR QUESTIONS ANSWERED!Can't watch live? Get the podcast on iTunes, TuneIn, and moreWZ TV Reporter Lovell Porter makes his debut on the Daily! 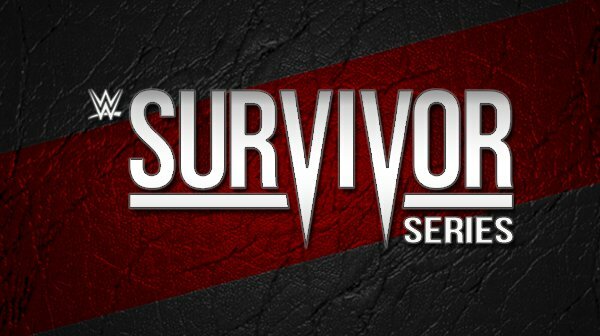 WWE Survivor Series Results Continue On The Next Page!